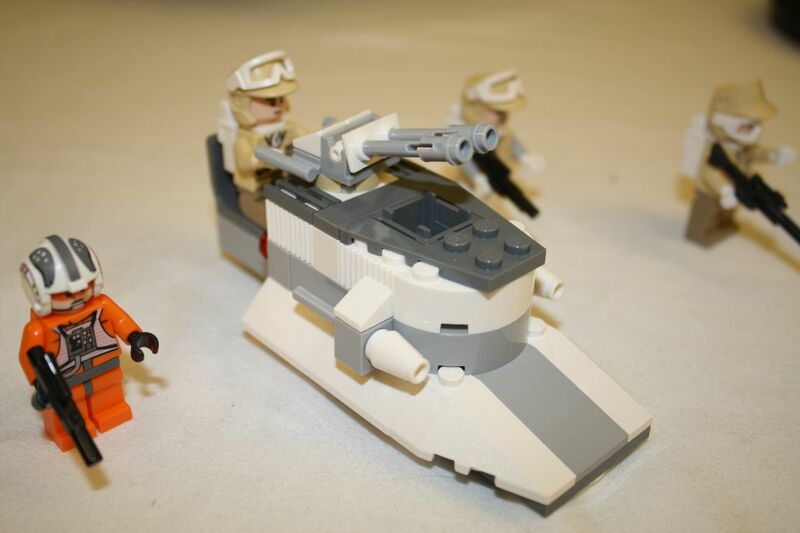 Part of the new 2010 Star Wars Lego sets, the Rebel Trooper Battle Pack 8083 gives you a mini-tank, four minifigs, and weapons for the Rebel defense of Echo Base on Hoth. 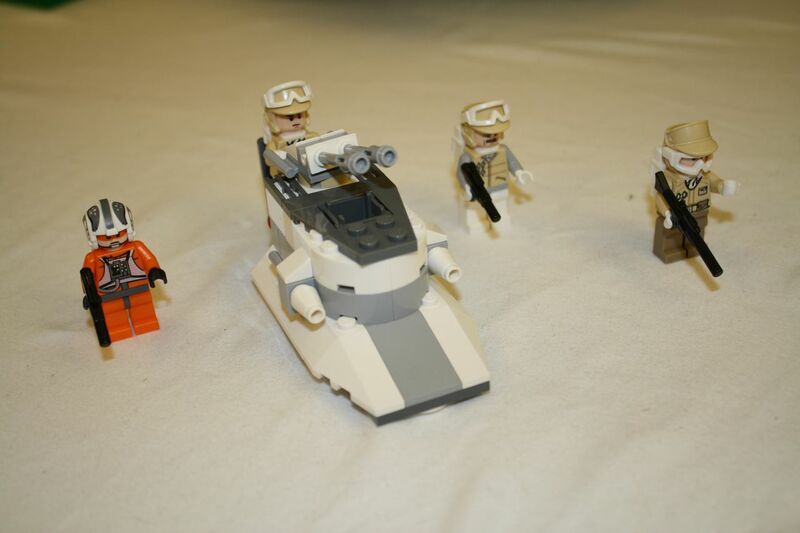 This is obviously a small set, which doesn’t take too long to put together, but I do like the figures, especially the three Hoth Rebel troopers. 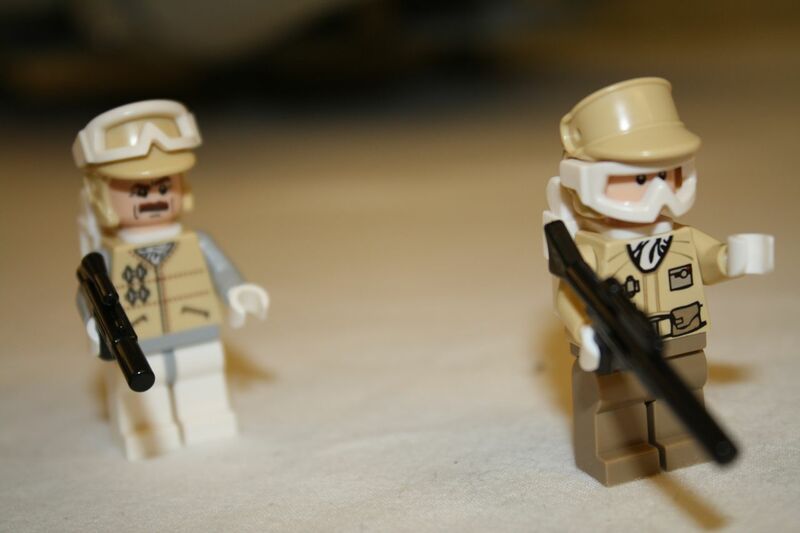 The troopers come with backpacks, fatigues, and hats. The really cool detail on the trooper hats is that the cold weather visors can be repositioned above the hat bill or over the eyes. Well done, Lego! 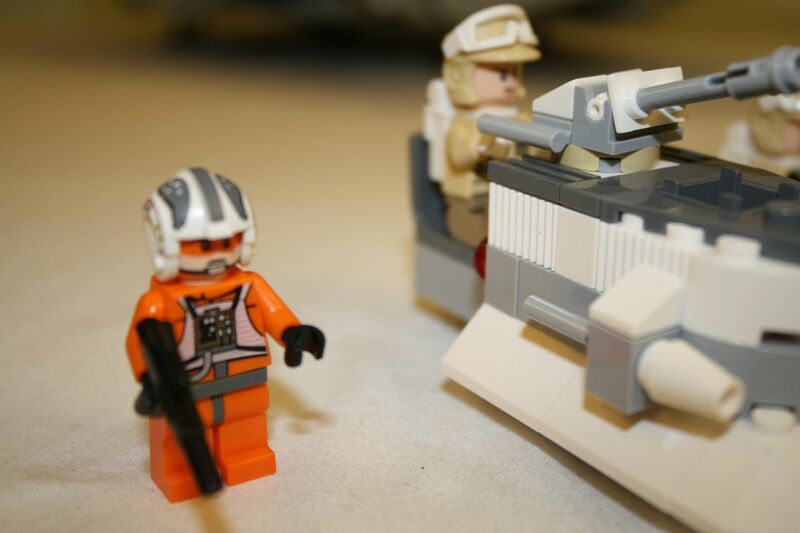 Now, I’m thinking I may use that bin full of white bricks to build Echo Base–muwahahaha! 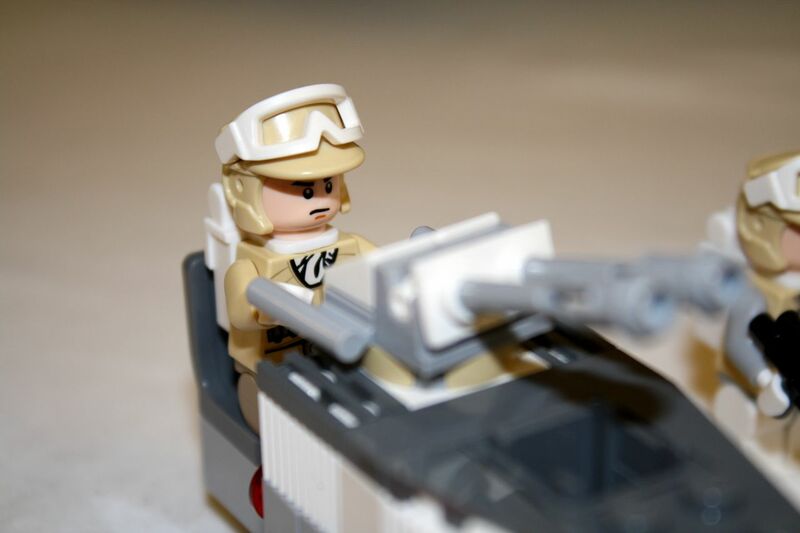 I will post pictures of the Imperial Snowtrooper Battle Pack 8084 when I have a chance to put it together. Yufang has already assembled it and disassembled it before I thought to ask her to take pictures. I believe it is completely within bounds to say that she is a Lego maniac, heh. More pictures of the set are below.